Get a full-body workout with the SPRI Xercise Bar! 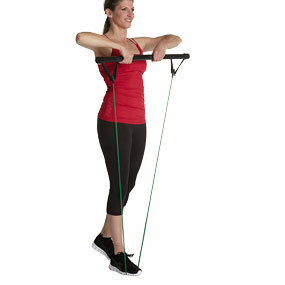 Stand on the tubing for standard exercises like curls, shoulder presses, and squats. To change resistance levels, simply roll up the tubing around the bar, change the resistance of the Xertube being used, or do a combination of both! 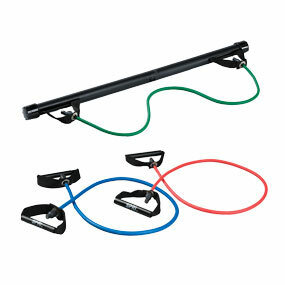 The Xercise Bar works with The Original Xertube by simply placing the handles of the tube inside the bar and securing the end caps. The 32" bar comes apart for easy travel and storage. 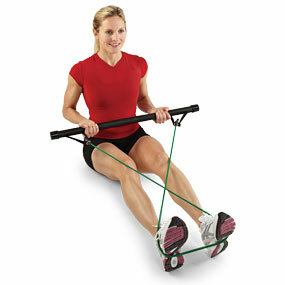 The Xercise Bar Kit includes the bar and three (3) Original Xertubes (light, medium, heavy). Until the early 1980s, rubber resistance products were mainly used for physical rehabilitation purposes. 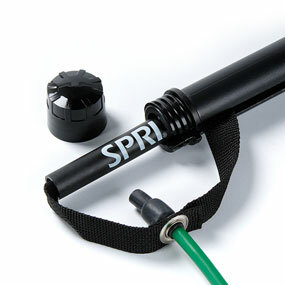 Then SPRI introduced the SPRI Xertube with looped tubing handles for upper-body use and SPRI Xercise Bands for lower-body use. 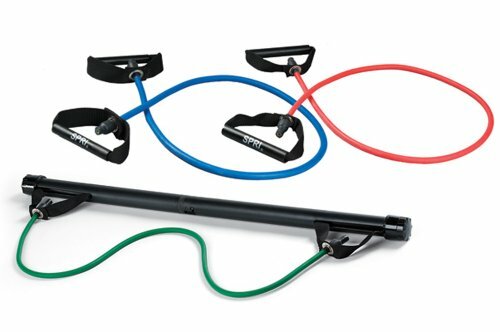 These products allowed instructors to easily and cost-effectively lead large groups in resistance training for health, fitness, and performance applications. The demand for rubber resistance products — and the ever-expanding training needs of instructors — quickly grew in the ’90s. The industry continued to push for more advanced products. SPRI started producing “dipped” tubing, the purest and most resilient form of rubber tubing available (compared to weaker “extruded” tubing). 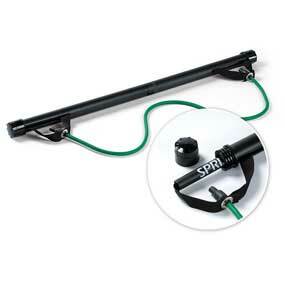 SPRI also added more specialized features to new and existing products. For instance, hard and foam covered handles were added to the Xertube, cuffs were added to increase comfort and keep the Xercuff in place during use, and rings of tubing were made to withstand higher resistance demands. Today, all SPRI rubber resistance products are still put through the most rigorous controlled testing available, including extensive trials in the field. The entire SPRI team, including the advisory committee and instructors, is constantly out there, visiting firsthand with those who use the products the most and staying ahead of the trends in the industry. This allows SPRI to actively explore new ways to continue offering the best, most cutting edge rubber resistance products and applications on the market. Great for full body workouts.